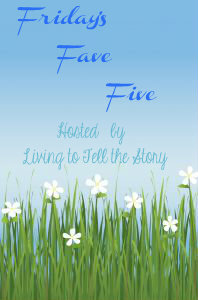 Welcome to Friday's Fave Five! I'm just sitting here staring at my springy daisies on my button and then looking outside at all the snow. The two just don't reconcile. Oh well, there is still many blessings beyond blue skies that I can look for throughout the week. Though ironically, that is one of my faves this week. Welcome to spring in my neck of the woods. It can give a person whiplash! Join us in sharing a look at some of the things that have blessed us throughout the week. Guidelines are here. 1. Listening to hubby laugh openly. While watching a Phil Callaway live dvd I had purchased for him because he couldn't come with me last week. He doesn't usually laugh out loud, more of a silent laugh kinda guy, so it was most enjoyable hearing him really laughing as he watched the dvd. 2. Bluray and dvd cabinet. Finally, finally, finally. After searching for about a year, we finally found a little cabinet that is perfect for all our dvd's and blu-rays. It's simple and fits perfectly into the spot that we needed it to. So glad to be able to store our collection of movies. 3. Best meatloaf I've ever made. I grew up really disliking meatloaf. I didn't make it for years after getting married. But hubby likes meatloaf so I started to try different recipes and to experiment with my own ideas. Yesterday, I made the best ever. The meat combo and spices and stuffing was awesome. The gravy turned out perfect and the smashed potatoes were just right. The fellas of the family were very happy and very full! I'll have to share the recipe sometime when I get it written down. 4. Off an hour early on beautiful sunshiny day. It is rare for me to be off before 4:45, so when I surprisingly got off the other day by 3:30 on a day with sunshine and blue skies, there was no hesitation and no second thought. I put on my shoes, grabbed Hubby and the dog and got outside to enjoy it. We went for a lovely walk, about a mile, which was sheer heaven as I've barely been able to get around the block without pain for 2 months now since I injured my ligament. I'm especially grateful I took advantage of that wonderful sunshine as it's been snowing since yesterday, yet again. 5. Beth Moore study. The ladies in church are doing the Beth Moore study Breaking Free. It is Intense with a captial I. I love that it's filled with tons of scripture and you go through every one in the daily studies. There is lots and lots of reading. But boy is it good. Light bulb moments all through her videos and the personal study time. It goes into the book of Isaiah alot, which I've never really studied or dare I admit, even read. There is so much there that I've been missing! Love when I can get into a good study with a group of ladies. BONUS FAVE: If you haven't already heard, Google Reader is shutting down. I was shocked. And then panicked. I hate when that kind of thing happens. I had anxiety when Bloglines did it, I almost had a cow when Picnik went down and now Google Reader is doing it. Anyway, that is not the fave. The bonus fave is Sandra from Diary of a Stay At Home Mom immediately went to work researching and reading. And she posted other options here. Thanks Sandra for doing all that legwork!!!! You don't know how much stress you have removed for me (and I'm sure lots of others). Now I just need to know how to unfollow my list in Blogger which is where I uploaded everything in a panic. Thanks for joining in with me today. I love visiting you all and am very much encouraged by reading your favorites. I realize that sometimes it is hard to look for positive, uplifting things in our lives and I know that sometimes some of you are doing it as a step of faith. You don't know how that blesses me! I pray that it becomes second nature no matter what life is like at the moment and that you are are uplifted by the exercise too! I appreciate you all! Truly, we are the ones who appreciate you and your faithful leadership in FFF. Thank you for always organizing it. Ah, Isaiah. I took a Precepts course on Isaiah and came away loving the man and the book. Everything, everything, points to Messiah! Hurray for sunshine and a lovely walk! I wished I could do a nice walk in the sunshine too ! But there is none ! I also intend to write about Google Reader closing down, because I found the perfect solution which was given by another Blogger and that is "Feedly" which only works with Firefox but is perfect, and looks almost the same then Google Reader. So no worries to have. I started using bloglovin. They will transfer all your following stuff over automatically. It's pretty neat. 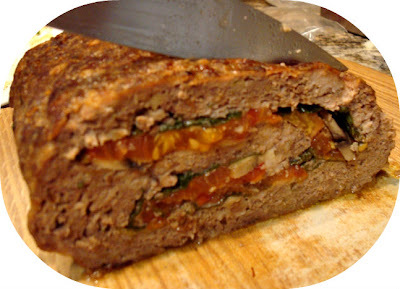 I LOVE the look of that meatloaf cause it's something MY husband would wanna eat!! Mine never come out thick like that. YAY for walking with no pain and in the sunshine!! Good for you! i plan on doing that today. We also got more snow the other day but thankfully it's starting to melt already. I'm sooo ready for spring temps and flowers!! A good Bible study is awesome and a true blessing...and the truths and promises found in Isaiah (my fave major prophet) are just marvelous. 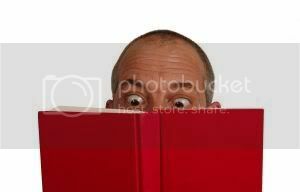 I'm actually re-reading portions of that book my self!! Your meatloaf looks delicious! How did you get the filling inside like a spiral? I know what you mean about hearing your husband laugh out loud. I love hearing the laughter of people I love. When Google Reader goes away, will the people following our blogs also be out of touch? Thank YOU for providing the prompt to count our blessings via FFF. I'm glad you got out for a nice walk while it was sunshiny. And without pain! That's a plus. I love to hear my husband laugh out loud, too. Meatloaf is one of my favorite dishes. Isaiah is so rich. Though I have read it several times, I don't know if I have ever done a study focused on it, but I imagine it would be rich -- it's pretty chock-full just reading it, and to study it out further would be like mining for gold. I had just heard that about Google Reader a few days ago. Urgh! I hate having to make changes like that. Though I am glad there are alternatives, I'm not fond of trying to figure out which is best. 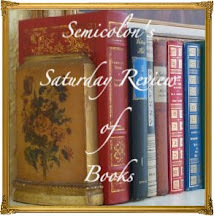 I'm thinking of trying Old Reader -- I don't want any bells and whistles, just a list of posts from blogs I follow. With your Google dashboard, does that include non-Blogger blogs? That meatloaf looks delicious! I definitely relate to how wonderful it is to get off early. Glad you were able to enjoy it in such a fun way! Is your hubby always home that early? You know I join you in the panic about Reader. Still trying to figure out a good alternative. Thanks for the link, I'll be checking that out. Isn't it lovely to get things organized? Hurray for your new cabinet. So sweet of you to keep trying meatloaf recipes because your husband liked them. Looking forward to your recipe -- the photo is very tempting! So glad you got to soak in some sunshine and in the best company, too! Reader shutting down is definitely an unfave. I've tried several other services and am resigned to waiting for Digg. Oh, I love Isaiah! And I love Beth Moore. I'm sure you are getting a lot of great spiritual "food." Speaking of food, please share the meatloaf recipe? I love meatloaf and mine is pretty good, but I'm always looking for better. Glad you got out and enjoyed the sunshine. Here it is still gloomy unpredictable spring weather. It is a blessing when the sun peeks through. That meat loaf sounds GREAT! Glad you had a bit of sunshine to enjoy. And laughter is always great! Have a great week ahead, Susanne! Thanks for the link on the Google Reader thingy! I like your favorites this week, especially your husband's laugh. And the meatloaf! I have yet to find a good recipe, so will look for you to post yours. I'm so glad you had a good walk and that you are healing well. And THANK YOU for doing Friday Faves. It is definitely a faith journey for me, and I appreciate you so much for providing the opportunity!